Markets around the world are rallying. Europe just closed at 11:30 AM ET. And the big winner in Europe was Italy. 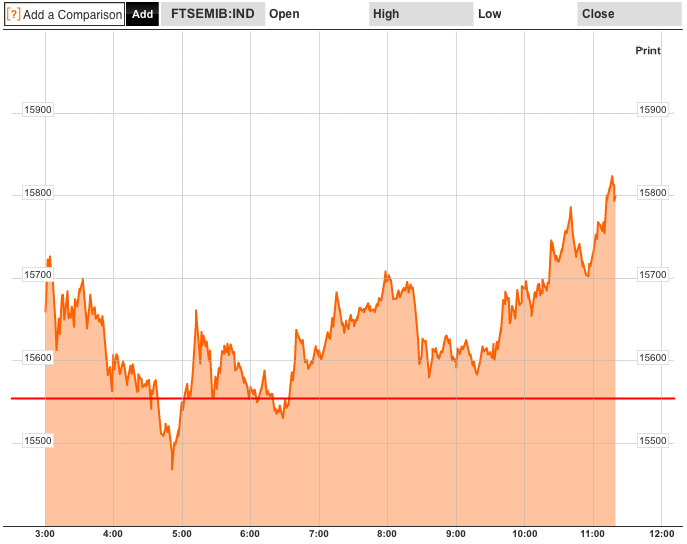 The FTSE MIB index closed up 1.7 per cent. Earlier today, the Italy successfully went into the bond markets and sold 10-year debt at a borrowing cost that was lower than what most feared. Here’s an intraday chart of Italy’s stock market via Bloomberg.